It is a 'frosted' baby peach .It ties in with the whole look of the collection, where u look as if you are basking in the sun and the light is reflecting off you at every angle. It is very pretty. It also layers over you favourite lipstick.This is a no-brainer! If you can find it get it! It come in a bottle with a dropper top. I only need 4-5 drop to cover my entire face including the eye area. This has just given my skin the boost it needed. Since I already use the Vitamin Ester 15 at night and Blue Plasma, my skin's condition is pretty good. This just nudged it into excellent territory. The serum has a light citrus scent and is light and absorbs quickly. The texture of my skin is fine and clear. I use this in the morning. As far as I understand this Vitamin C serum can withstand use in the day, as it is combined with Palm oil to stop degradation from sunlight (hope I got that right). Besides it's powerful radiance boosting element it also offers antioxidant protection throughout the day- Don't forget your sunscreen. I love that this is a multi - tasker and can work to help my fine lines around the eye and lip area. I then do top with my eye cream. I recently went for a mini-facial at a spa and the aesthitician was trying to diagnose my skin and used a fancy machine to measure my moisture levels. The measurements were good ( I have surface dehydration- we live so high above sea level and this can affect this). After the treatment she remeasured in the hope they has improved to show off how good their products were. No change. Good is Good. She could not fault my home care- Thank you Dr Perricone...... and I went home empty handed. While this product specifically does not deal with hydration it has definitely helped in nourishing my skin. This I was told differs from the Vitamin C Ester 15 as it has a more brightening result as is used all over the face and eye area and the Ester 15 while brightening it also has a tightening effect. I love them both and use them in tandem. 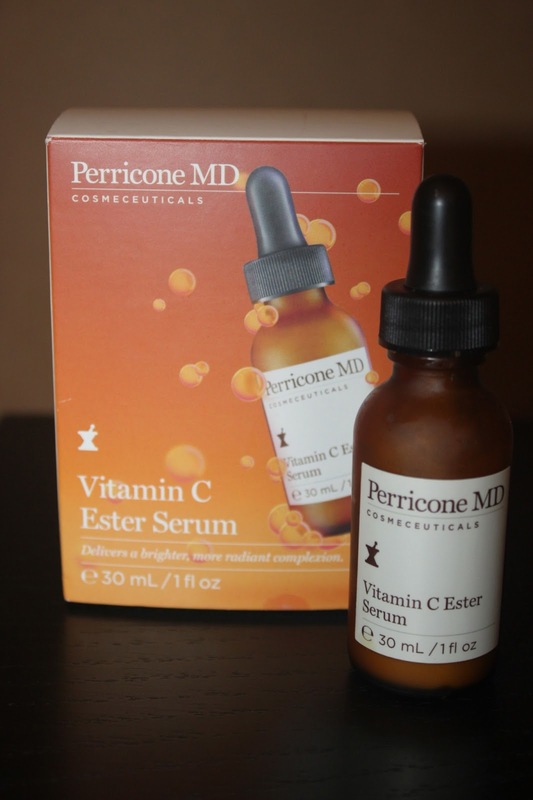 This is another must have product from Perricone MD. Most cheeks stick, give the impression that they are quick and easy to use. Blush Guilt is far trickier and needs a little more love and attention. 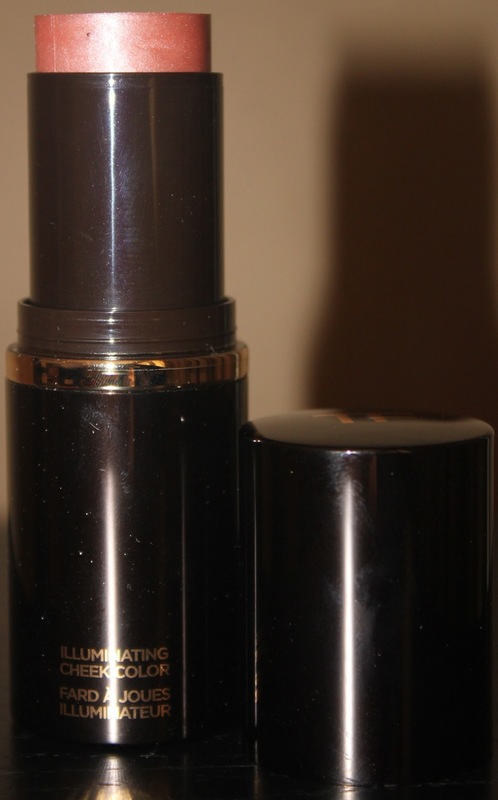 The colour is very similar to the Tom Ford Fire Lust skin illuminator, sans the slightly heavier micro - shimmer. This cheek stick NEVER dries down, so here starts the love. It has been suggested to use this on bare skin. I wear a tinted moisturiser/foundation for a reason?! So, I have used this from the stick/or fingers onto my 'foundationed' face. This worked to give a gleaming golden peach effect to my cheeks. It did give more colour than Fire Lust, but still very soft. My cheeks remained 'sticky' until I took it off. The emollient texture makes it difficult to powder over. I though it might look great with bronzer or blush underneath, but the powder product is effectively wiped off while applying Blush Guilt. This gives a very editorial look, very much like the glossy eye trend. It does give a pretty flush to the cheeks, but I think you could choose between Blush Guilt and Fire Lust or maybe choose the other shade Bronzed Amber. Since I just love the idea of creating such looks I am still enjoying the cheek stick. I prefer this product at night, since I have oily skin. If I wore it through the day I might end up looking shiny all over. I would love to know if you have any tips or tricks when using Tom Ford Illuminating cheek color?